Richard Irwin (Belper, United Kingdom) on 21 March 2008 in Plant & Nature. 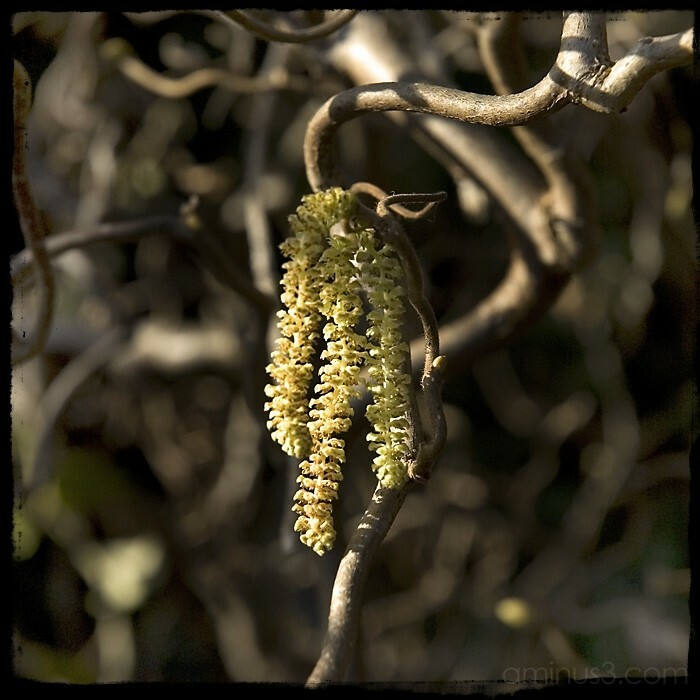 The light on the little catkins is beautiful Richard. Another wonderful spring image. Great shot - the subdued colors and the lighting are fantastic. You have a wonderful series here of springtime captures. Well done. Hey i love ur frame, looks cool and i kinda seen it somewhee before but i just ddont remember where. Love the clean shot and the bokeh in this picture. Just beautiful, Richard! The light, textures, and framing just pull me in to the feeling of spring. Gorgeous. The light, the composition, the dof...perfect. Love the bokeh. I like the background against which the twisted branch with the lit up catkins seems to rest!Very beautiful presentation!